Notably, these four REITs pay considerably higher yields than their respective REIT peers, partially due to sector real estate fundamentals and trends; but largely due to RMR's track record when it comes to investments and negotiated deals on behalf of the managed REITs. 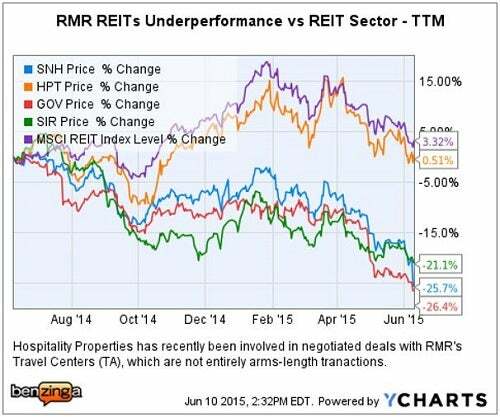 The MSCI REIT Index (RMZ) is a good proxy for broader equity REIT performance. 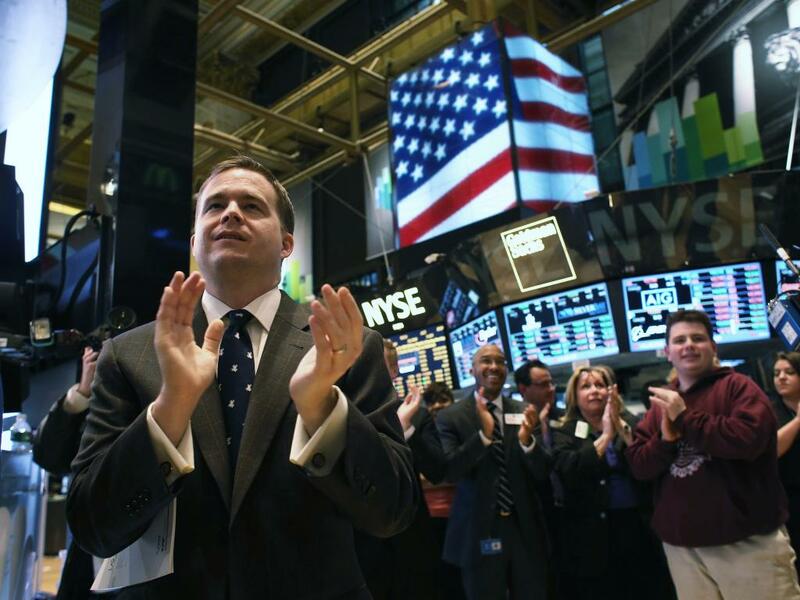 Notably, regardless of the potential benefits, this was a deal which was not done openly with shareholder consent or approval. Q: "Who set the price on RMR?" 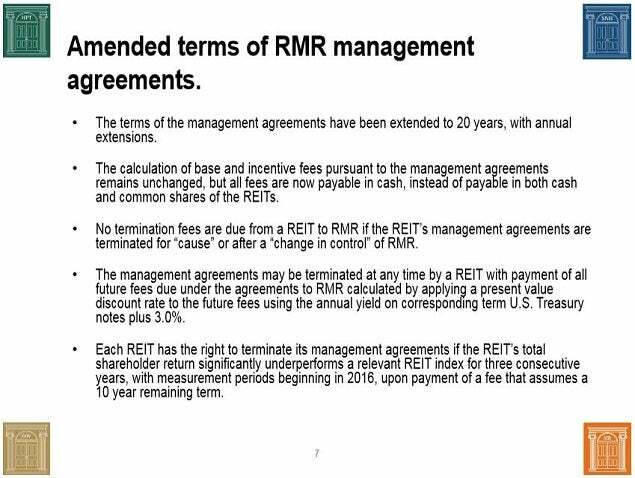 A: "RMR approached the REITs with a specific price, which it based on 50% of the termination fees in the pre-existing contracts." Q: "Did any of the banks provide a valuation opinion?" A: "As part of advising each of the REITs and the joint special committee, all of the banks took a look at the fairness of the transaction." Regarding a question regarding the independent board members, Blackman replied that he had the "utmost confidence that they evaluated the transaction and considered all aspects of it." When asked "why the RMR transaction, as detailed, was desirable relative to a 'simple internalization,' Blackman responded by touting the G&A efficiency of the current business structure." In a post-presentation interview with SNL, "Blackman named alignment of interests and increased transparency as the main positives of the deal." SNL noted that Hegarty "who like other leaders at RMR-managed companies is an employee of RMR, said discussions surrounding the transaction began in April, when RMR approached the boards of its managed companies with a proposal." 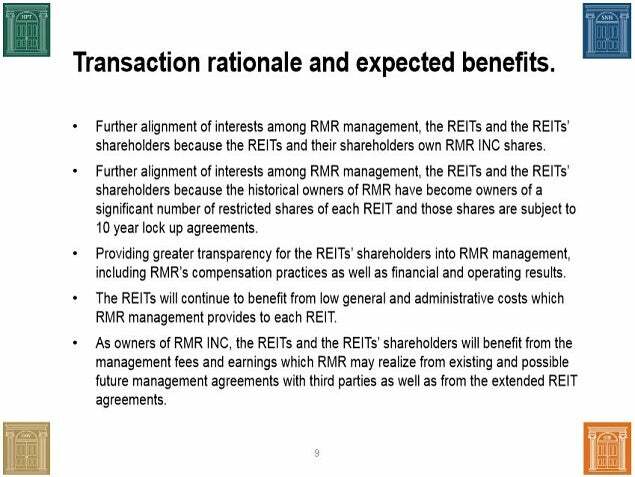 "Hegarty cast the transaction as mutually beneficial: The REITs are able to benefit from RMR's performance, and the manager will increase its holdings of the companies' stock, with a commitment to hold onto the REIT ownership stakes for at least 10 years. 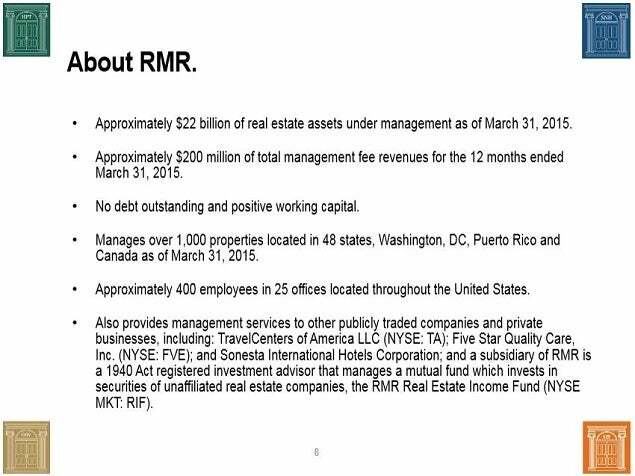 RMR, in turn, will receive 20-year management contracts." Hegarty also commented to SNL after the session, "We have a very complicated structure that has evolved over time," he said. "It would really be impossible to pull apart. 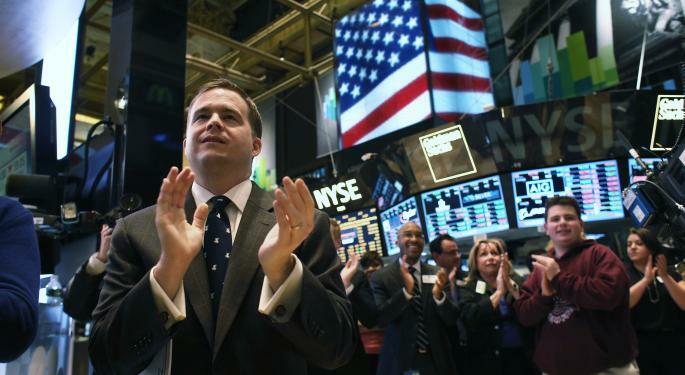 This way is one way of getting to investors almost what they want." SNL reported, "Murray, like Select Income's Blackman, touted the increased transparency and alignment of interest that will come with the deal. 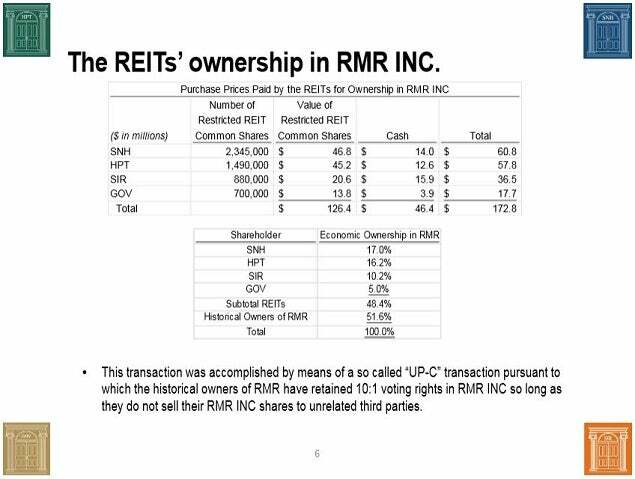 He noted that the REIT shares RMR will receive will be locked up for a 10-year period." "In a post-presentation interview, SNL asked Murray what he would say to an analyst or investor who continued to take issue with the 10-1 voting rights RMR will have and the 20-year management contract. He responded by highlighting the company's long-term performance, its share-price appreciation and the dividends it has paid." Murray explained to SNL, "If there are investors who don't like that, there are other lodging REITs that they can invest in."